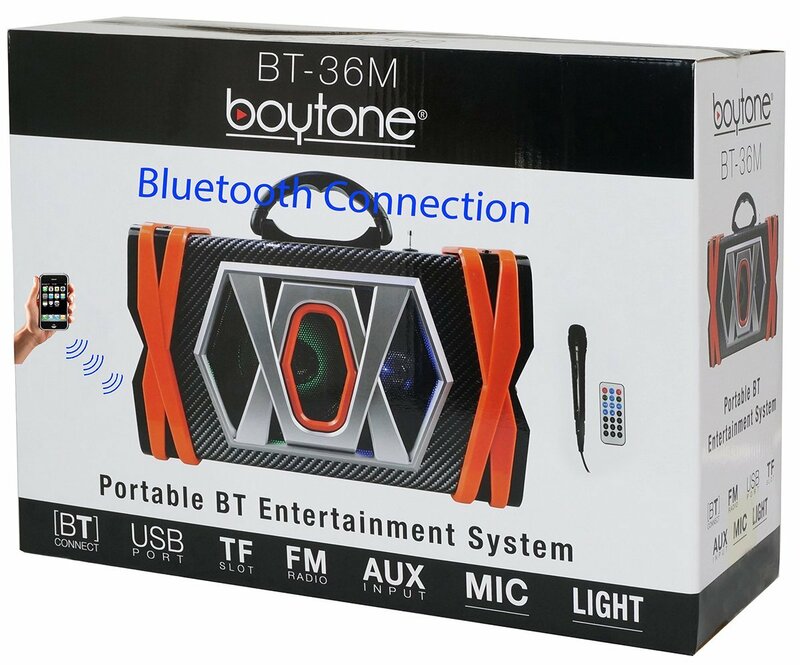 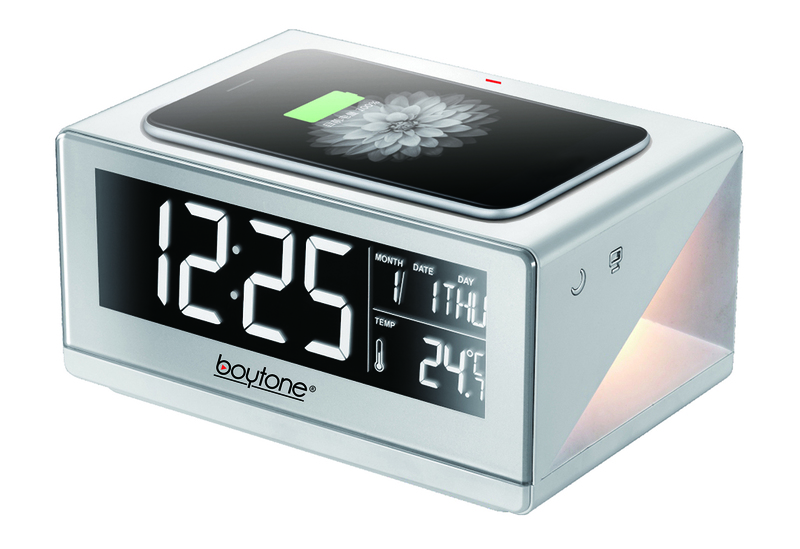 The Boytone BT-36M Wireless Bluetooth & Portable Karaoke Speaker Systems combines high-powered sound and visual style! 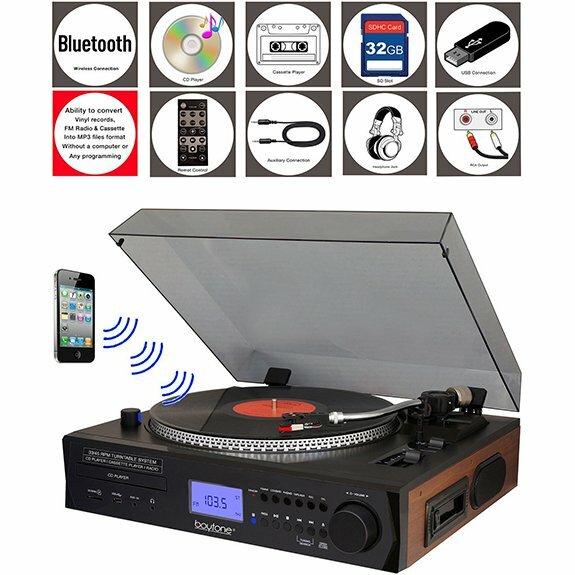 The built-in flashing DJ party lights. 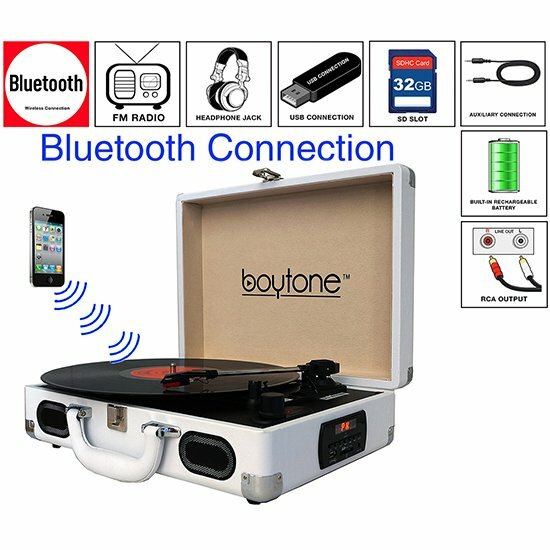 Bluetooth music streaming allows you to connect and stream audio from all of your favorite devices (like Smartphones, Tablets, Laptops, etc.). 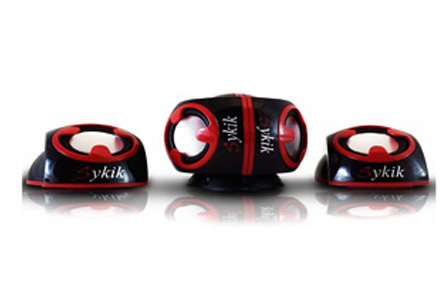 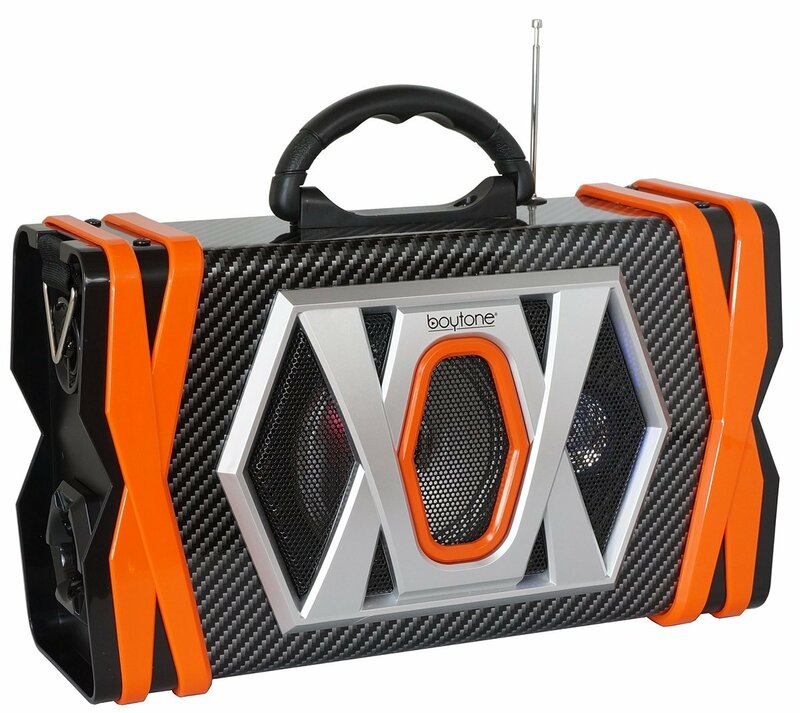 The built-in rechargeable battery makes this sound system extra portable - to party on the go! 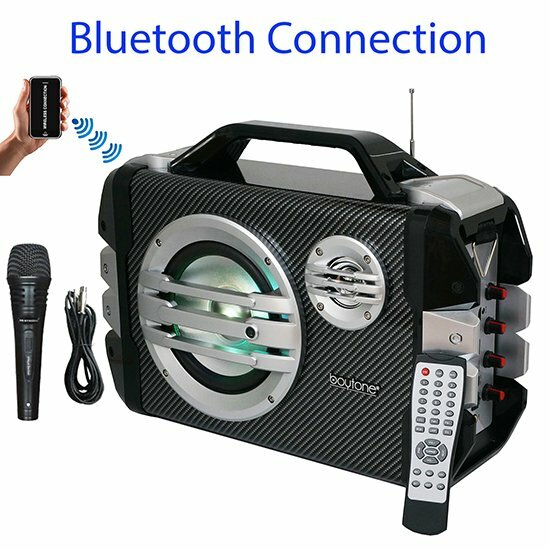 Additional music streaming options include FM Radio with Digital LCD Display, USB Flash and micro SD Memory Card Readers, and the included Handheld Microphone lets you setup an awesome Karaoke party! 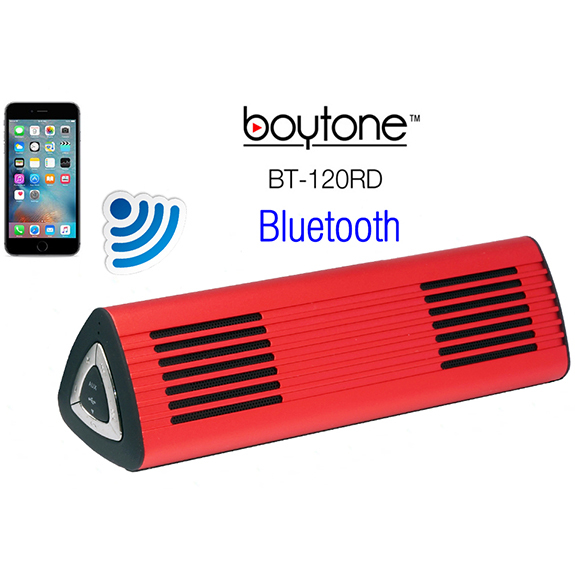 Sing along with Portable Bluetooth Speaker System. 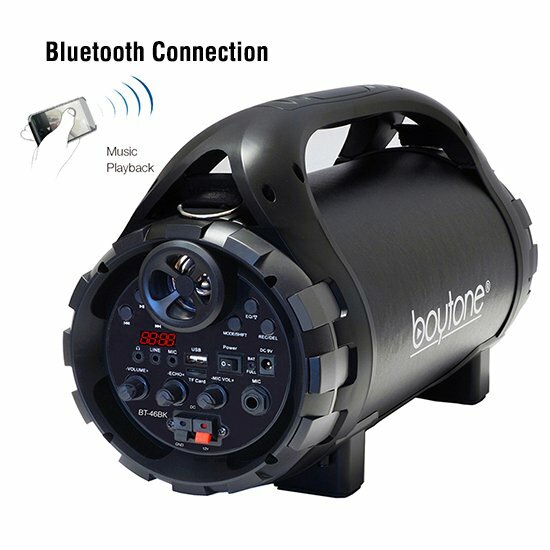 Microphone, auxiliary cable, shoulder strap, and built in rechargeable battery included. 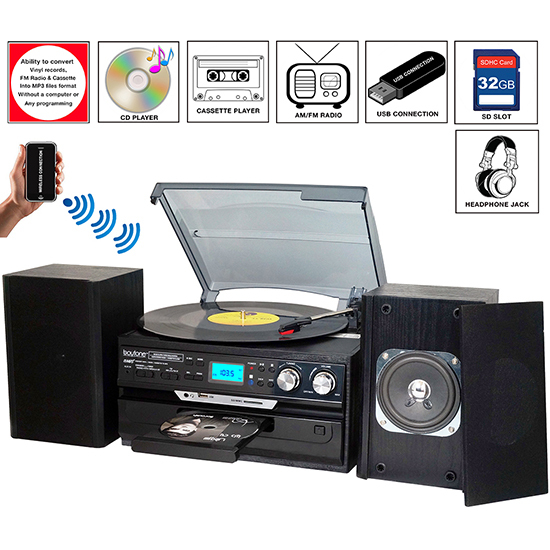 FM radio, clear display, and 1/8" auxiliary input; Microphone, auxiliary cable, shoulder strap included.